Image: The Times Minister of Finance Nhlanhla Nene. Finance Minister Nhlanhla Nene says he is due to present economic structural reforms and a stimulus package that he believes will pull the economy out of a technical recession. This after it emerged that the South African economy has slipped into its first technical recession in nine years following Stats SA's announcement on Tuesday that the country's Gross Domestic Product had shrunk by 0.7% in the second quarter of 2018. The GDP drop followed a revised fall of 2.6% in the first quarter of this year. Nene said while government was disappointed by the latest economic figures‚ he was confident the economic structural reforms and measures to stimulate the economy he was due table in Parliament in October would help pull South Africa out of the woods. Nene is due to present the Medium Term Budget Policy Statement (MTBPS) next month‚ which outlines government's economic blueprint and spending plans for the next three years. Nene also conceded that this year's increase of VAT had taken money out of the pockets of citizens‚ with a decline in household consumption cited as one of the reasons for the contraction in GDP. Speaking from Beijing in China‚ where he is attending the Forum on China-Africa Cooperation with President Cyril Ramaphosa‚ Nene said it was understandable for there to be a panic in the country but insisted government has a plan to be unveiled at the MTBPS next month. "We understand the impatience of South Africans because we want things delivered as off yesterday‚" said Nene." "The real reform package that comes out of the cabinet process is in the pipeline. 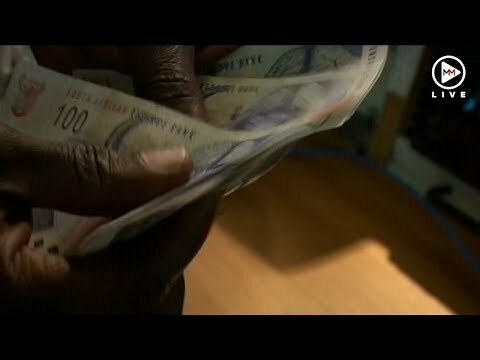 "There are formal processes under way‚ some of them culminating in the upcoming investment conference that the president is going to be holding in October‚ but also the MTBPS‚ because some of these are actually policy issues so I would imagine that by the time we go to the MTBPS‚ we should of concluded on them." Turning to the impact of VAT on household spending‚ Nene said: “We can't deny that the consumers are having a tough time‚ the petrol price‚ VAT increase. But all of those have their short-term impact on spending...it did have an impact."